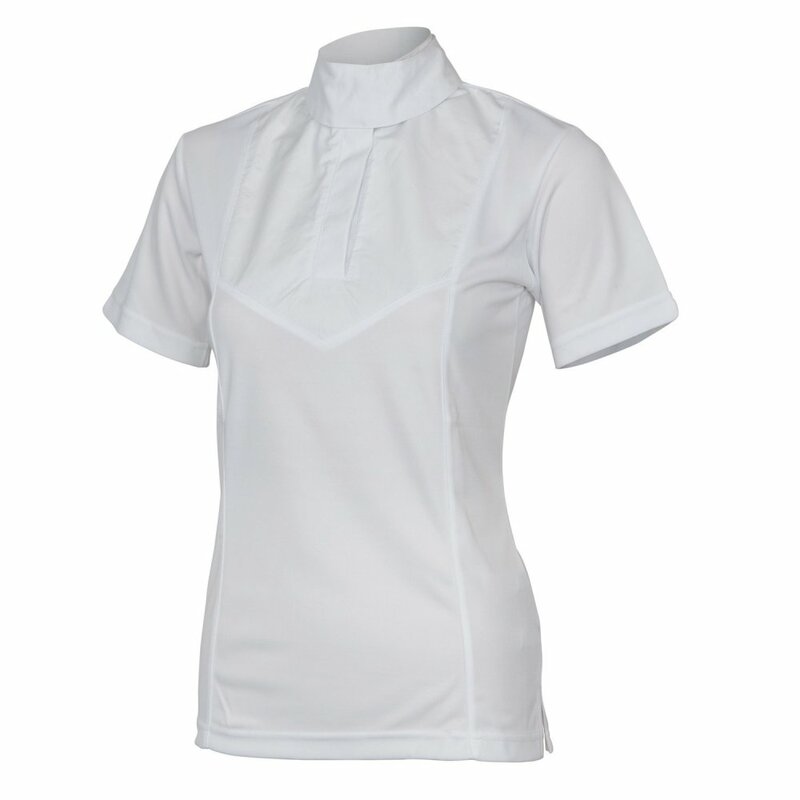 The Shires Ladies Short Sleeve Stock Shirt is made from a performance, stretch fabric that's breathable and wicks moisture away from the body keeping you comfortable during competition. This competition shirt has a cotton bib and collar to ensure you look smart beneath your jacket with a detachable collar to enable you to wear a stock. This Shires Shirt has short sleeves for comfort with a flattering shape and side vents.